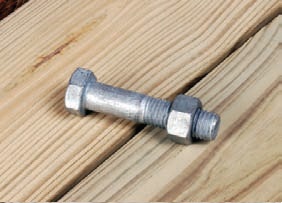 Includes lock nut. Used to connect male and female T connectors. Galvanized 3/4" x 3-1/2". Standard grade. Sold 8 per bag.